BJC - BJC Medical Group at Lake St. Louis (Lake St. Louis) - Book Appointment Online! The providers at BJC Medical Group at Lake St. Louis provide comprehensive treatment, including preventive medicine, to patients of all ages. With only three providers, we strive to develop personal relationships with each of our patients. 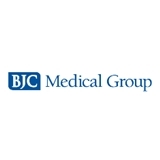 We are proud members of BJC Medical Group. Dr. Hoang is easy to talk to and I feel like she really cares. Very happy to have her as my doctor. She is amazing. Has an uncanny ability to put patients at ease.